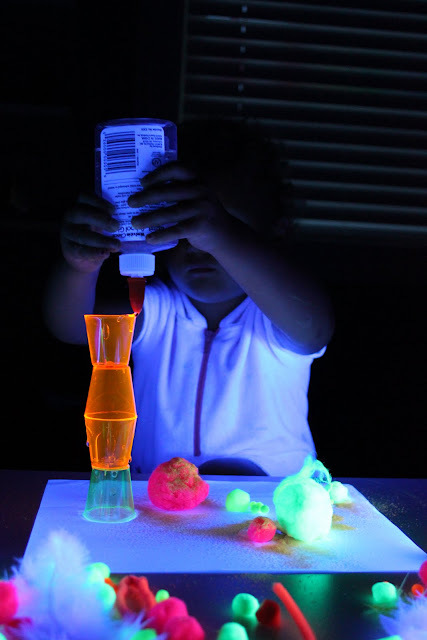 Things that glow in the dark: NEON pom poms, pipe cleaners, dollar store shot glasses, acrylic tiles, pony beads, feathers, glow in the dark or neon paint, glow in the dark or neon sand. So very inspiring. I really love all your dark/light investigations. My list is getting longer and longer. I LOVE your blog! So happy I found it! I love your blog and am happy i found it. 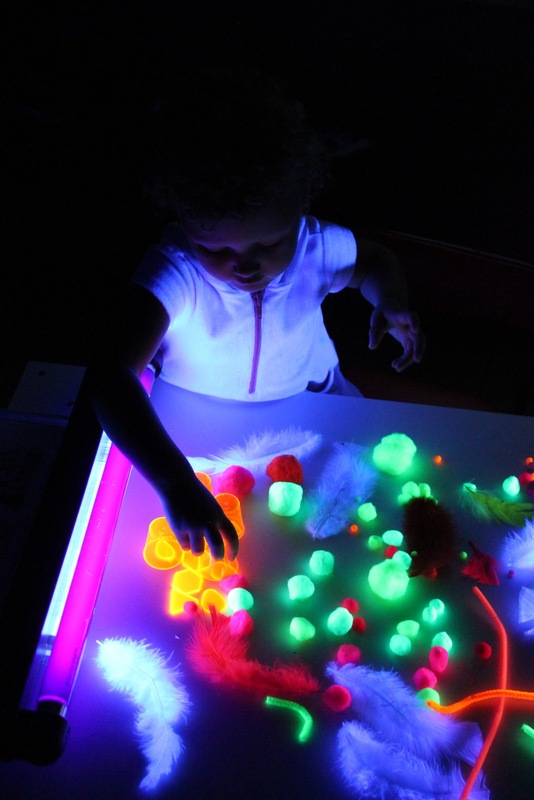 However children should wear amber filters with black lights. Black lights can cause eye damage.